If you love the punch of chai tea then you’ll love this herbal chai. 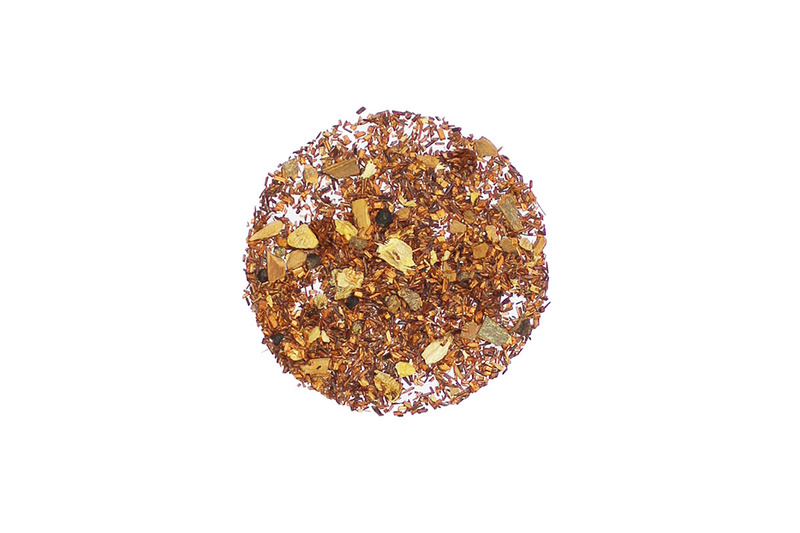 Bengal Chai uses a smooth rooibos base and combines the classic chai ingredients of black pepper, cloves, ginger, cinnamon chips, and cardamom. These all combine to make a cup of tea that has all the bold notes of a chai and all the joy of exploring something new. If the chai is a bit much for you, add some milk and honey to mellow out the BOLD in this Bengal Chai.